Toronto Maple Leafs, Raptors, Jays, Argos, Rock and sports by Randy Charles Morin. 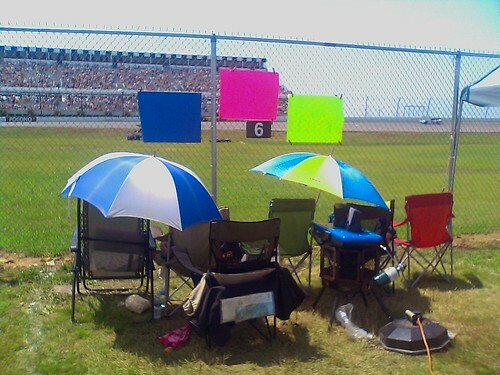 Because of the rain out on Sunday, we had fence line seating at the Pennsylvania 500 at Pocono Raceway on August 3rd. Also because of the rain out, all infield guest were allowed in the pit area, grandstand and fan zone. No charge. 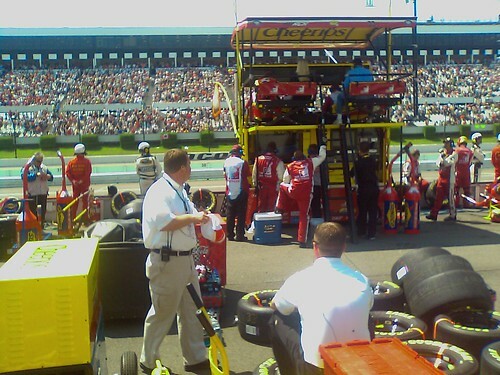 You could sit feet behind the pit areas. Unfortunately, Nextel had closed down there usually free WiFi area in the fan zone and left. How was I gonna get my work done? I walked around the fan zone for 20 minutes before I found an open signal coming called T88. I assumed that meant Team 88 (a Dale Jr trailer?). I found it. 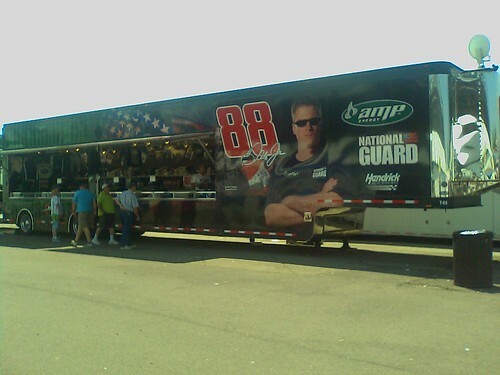 Thanks to Dale Jr and team for letting me work for an hour before the race outside their merchant trailer.